Unless you have been living under a rock, you know that Google announced lots of new toys at the Nexus event today. Two of these devices are the Chromecast 2015 and the Chromecast Audio. After the event was over, they became available on the Google Store for $35. 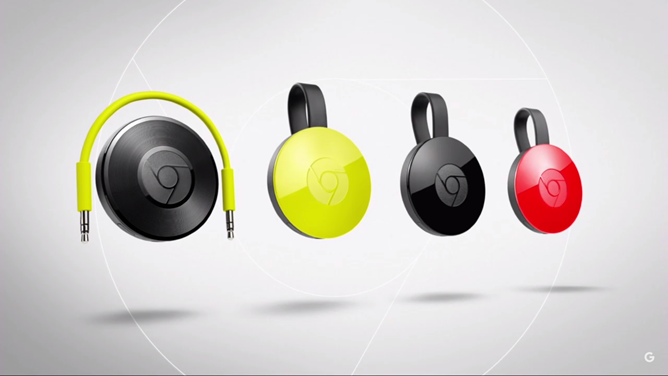 These Chromecasts will start shipping very soon, and some might be getting them tomorrow. If you'd rather buy your Chromecast from Best Buy, then you're in luck. Best Buy has put up their product pages for both the Chromecast 2015 and the Chromecast Audio. They are both priced at $35 dollars and are eligible for free shipping. Since this is a pre-order, the current estimated date of delivery is October 8th, so you might be better off buying it directly from Google. Best Buy does say that in-store pickup is coming soon, so it's possible that you'll be able to get your hands on one before they start shipping. Also worth noting is that the Lemonade and Coral color variants are both exclusive to the Google Store.